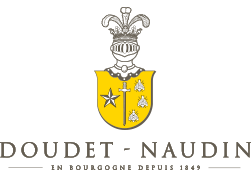 Doudet-Naudin holds a treasure, hidden deep within our ancient cellars. A treasure that tells the history of our Maison, the ups and downs of successive vintages and of nature’s generosity. A testament to the skills of the people who have shaped these wines and of all lovers of Burgundy who, for decades, have been thrilled to taste these nectars from Doudet-Naudin. A true link with our past. Much more than an invitation to travel through time: a reverence and homage to our predecessors.